There will be a 50/50 raffle, with additional prizes from Ramunto's and Sam's Outfitters! Additionally, one of our sponsors, Brattleboro Ford Subaru will be having a photo contest and we'll be awarding 1st, 2nd and 3rd place prizes! Don't forget about our delicious food vendors- the Pit Stop and Farm Concessions! During the 3:00-4:00 activities, there will be a Donkey Demo by Road to Independence! 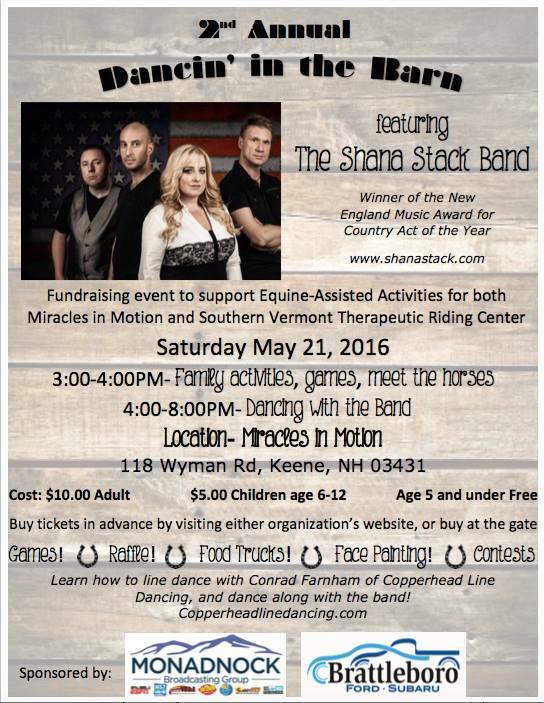 When the music starts at 4, there will be guided line-dancing with Conrad of Copperhead Line Dancing! Check out our Facebook event for up to the minute updates as we get closer to the event!